Observation - Mirid Bug - UK and Ireland. 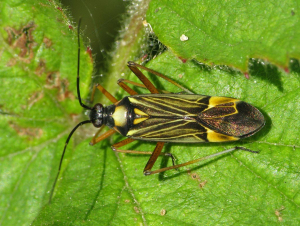 Description: One of the larger and more distinctive mirid bugs. A predator usually found around oak and hawthorn. One of the larger and more distinctive mirid bugs. A predator usually found around oak and hawthorn.